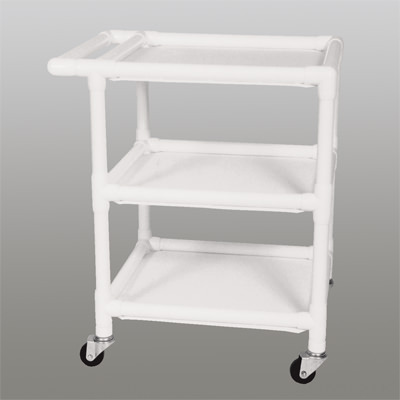 Use as a utility cart, activity cart or for general transporting. Load capacity of 90 lbs. 2 swivel and 2 standard 3″” casters. Made of White PVC piping and plastic. Distance between shelves is 14-1/2″” (368mm).